Brioni houndstooth plaid silk tie. Approx. 3.5" at widest point. 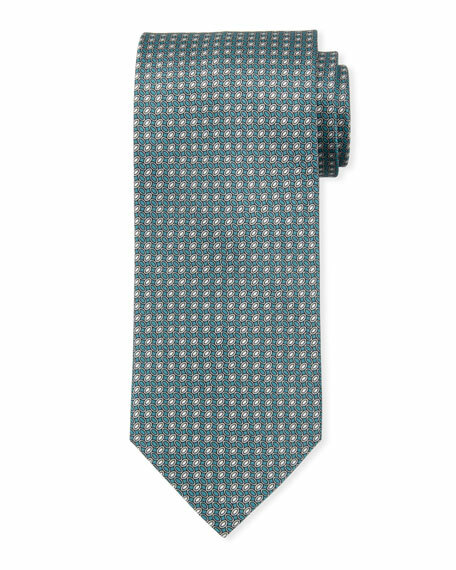 Brioni woven tie in micro-diamond motif. Approx. 56"L; 3" at widest. Silk; dry clean. Handmade in Italy. Brioni tie featuring multicolor flowers print. 59"L; 3.1" at widest. Silk; dry clean. Made in Italy. Brioni Brioni tie featuring oval print. 59"L; 3.1" at widest. Silk; dry clean. Made in Italy. Brioni woven tie in solid-color, textured weave. Approx. 56"L; 3" at widest. Silk; dry clean. Handmade in Italy.